Our clients have the following words to say about their dealings with A.C.E. 1. The ACE Race team building activity for approx 260 people. 2. Casino Royale themed game show activity for approx 150 people. The ACE Race was expertly run and participants gave very positive feedback. Daniel was great to work with. He tailored the race to our requirements. He considered the physical capabilities of the participants, the time constraints and desired outcomes of the activity and came up with a race of varying challenges that everyone could enjoy and participate in. His team was very well organised on the day. The ACE representative at each pitstop was enthusiastic and ensured groups had fun while completing the challenges. The Casino Royale game show night also received great reviews. There was a good mix of physical and mental challenges. I really liked that everyone got up and took part. There was a lot of laughter during the challenges and everyone really enjoyed themselves. After the events Daniel provided 2 photobooks and a CD of all the photos. The photos captured priceless moments and our staff are really enjoying looking through them. Kudos to Daniel and the team for doing such a fantastic job for both events. 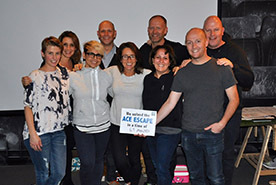 I highly recommend ACE Consulting for company team building activities and look forward to working with them again at the next opportunity. I have being using A.C.E. for over 7 years now at 2 different companies, and have found the experience to be highly successful. Daniel and the team have led my groups through multiple different challenges to help us better understand how we work as a team. The expertise shown on each occasion was 1st class and every single participant on every single occasion is always raving about the experience. I can (and do) high recommend Daniel and the team for any team based event you have planned. "Your energy level and positive attitude helped motivate and sustain the team. The team building activities were entertaining, well organised and always with a purpose and message. Your facilitation was at all times professional, well considered and researched. Thank you for your hard work"
"From all the St George Executive Team, thank you for making our team building days such a SENSATIONAL success. 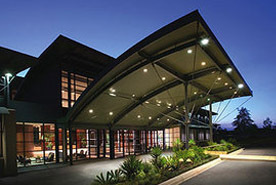 I am amazed that you were able to maintain such a positive and friendly 'can do' attitude throughout the gruelling schedule of five conferences at four different locations in NSW, Queensland, ACT and Victoria involving some 750 staff. You and the team displayed a determination to make each day a resounding success and a memorable occasion for all of our staff. The feedback from our staff has been excellent, describing the conferences as the most enjoyable and motivating team building events they have ever attended. The commitment to making every aspect of the day a success is a tribute to you and the A.C.E. team. We would recommend A.C.E. to any business as the best choice to organise and run their next Team Building day." "We found the services of AC.E. to be excellent, particularly in suggesting ideas and adapting to our needs. Their staff were pleasant, efficient and enthusiastic. We will be using them again." "A.C.E. were a pleasure to work with. Planning the conference was made all the more easier as A.C.E. did most of the hard work. The group enjoyed the activities, even when they had to really apply themselves. This was aided by the fact that Daniel and his team got along really well with everyone and the activities were interesting and diverse. A good time was had by all and everybody came away learning something." "Whilst we were away as a team, friendships were born and strengthened; comfort zones were broadened; the sense and value of team-play was heightened. Perhaps the greatest yardstick of success was reflected in the enthusiasm with which all participants awaited the public viewing of the conference video - and was reinforced by the overwhelming desire to do it all again!" "The comments from all staff indicated that the way in which you facilitated the conference was highly professional, motivational, an inspiration and loads and loads of fun. The technical aspects and activities displayed throughout the conference only served to add to the overall presentation you offered. I hold the belief that facilitation is an extremely important component of any successful conference, and to that end wish to thank you for your commitment & dedication in helping Private Formula realize our goals." "We selected A.C.E. Training & Consulting for our National Sales conference based on their ability to provide us with a well planned and structured program of team building. From the outset, their professionalism, resources and planning were evident. They worked hard to match the program with our objectives and we had a real sense of them working as part of our team. As a conference organiser, A.C.E. made it very easy - once we agreed on the program activities and session times, they made all arrangements and liaised with staff at the conference venue. We received extremely positive feedback from conference participants and achieved our aims of building a strong team spirit and demonstrating the benefits of working collaboratively within and between state based sales teams." 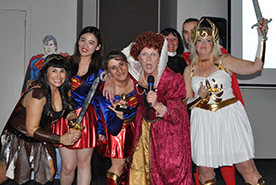 "On behalf of the Sales Management Team of the Seven Network, I would like to extend sincere thanks for the fantastic job you did at our annual Sales Management Off-Site recently - it was really special. At short notice, you were able to, not only accurately interpret what we needed, but also customise and implement a great team building exercise which was completely congruent with the other part of the conference. Your session really set the tone for our overall theme of "High Performance Teams" and everyone thoroughly enjoyed being part of it." "A.C.E. provided us with some of the most memorable moments of our conference while at the same time you reminded us of the significant benefits of working together in teams to achieve the best outcomes. 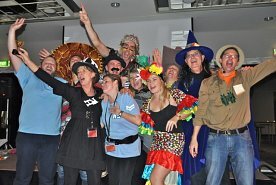 The high energy and enthusiastic approach to your work (be it team building, music trivia or murder mystery) really contributed to our conference. Your professional presentation and the ease with which we found dealing with your organisation are qualities that our organisation is constantly striving to provide to our own customers." "Yesterday was outstanding! I can count on one hand the number of times I have felt the urge to write this kind of letter. I have been exposed to many 'facilitated workshops' across different environments, both business and personal. I would have to say that you are one of the best I have seen." First contact with A.C.E. was as part of a staff team training day to prepare us to work on a medical student transition weekend. The training provided was the best team training I have ever been part of. Working with A.C.E. over 8 years of transition weekends demonstrated their excellence to me. Daniel Cohen is an excellent facilitator and debriefer and I have tried to apply some of his techniques in my own teaching and facilitation. Icing on the cake is that Daniel and his team are some of the nicest people you will meet, honest, fun, friendly and absolutely professional. 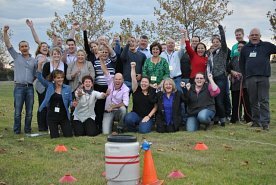 Click here to find out more about our indoor & outdoor team building activities Melbourne.